Help us finish our NON-PROFIT film! The recent Rigpa scandal has thrown the Western Buddhist world into a state of turmoil and division. Criticisms have been directed towards the very legitimacy of Vajrayana Buddhism, especially questioning the value of the Tantric path of teacher-disciple devotion. Masters, Mystics & Madmen is a film that grapples with the controversial and contradictory nature of the Vajrayana and examines the rationale for the guru-disciple relationship. Is it even possible to tell an authentic master from a phony? A mystic from a madman? Is there a way to ensure the survival of Tibetan Buddhism and protect it from being distorted or exploited in the modern world? ​And what exactly does it mean to be an authentic Buddhist practitioner anyway? In a world full of self-made gurus, opportunistic charlatans, predatory teachers, and throne-seeking tulkus, how can Western Buddhists recognise a legitimate teacher from a fake? What is the purpose of having a teacher and is it even necessary? Is Vajrayana Buddhism still a relevant path for the West? If so, how do we navigate the teacher/student relationship in the tantric tradition? What are the qualities of an authentic practitioner? What does spiritual accomplishment look like? Would you trust a monk more than a mystic? How can you tell a genuine mahasiddha from a madman? And can the tradition of the crazy yogi survive in this era of political correctness? In 2010 Dolma and Alastair lived in India for 6 months filming a short film called Finding Manjushri, which they produced by themselves on a shoe-string budget. The film went on to achieve numerous awards on the international film festival circuit, including best short at Moondance and Third World Indie Film Festival, as well as official selection at Cannes Short Corner. While they were in India, they also began filming a documentary about a local famous "crazy yogi" called Lama Godi. They shot over 50 hours of footage, including numerous interviews with local Tibetans in the small Himalayan Tibetan refugee town called Bir. Due to lack of funds and time, the documentary was placed on the back burner for a number of years. 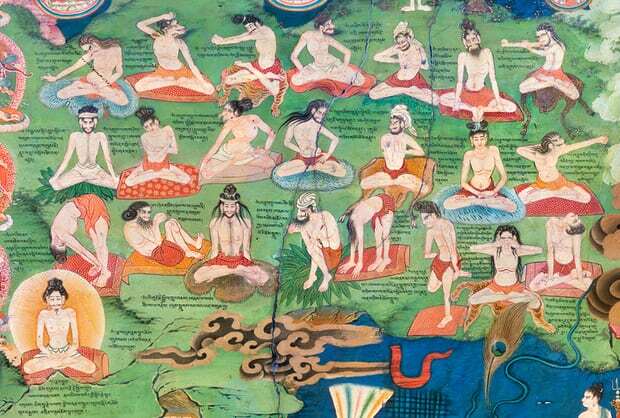 A few years later the documentary scope was revived to be not only about "crazy yogis," but also about what it means to be an authentic practitioner in the Vajrayana tradition in general - while looking at the very different styles of "yogis"... both western and Tibetan. Thanks to some funding from the Ashoka foundation, numerous interviews were filmed in France and Australia, with some experienced long-term Western students - many of whom who have completed multiple 3 year retreats under renowned teachers from Tibet. Once the Rigpa controversy erupted, the film's purview expanded again, upon suggestion by Dzongsar Khyentse Rinpoche, to encompass the role of the teacher in Tantric Buddhism, the potential pitfalls of the student-teacher relationship, and the survival of the Vajrayana tradition in modern times. We feel that there is an urgency to address some of the issues of exploitation and abuse in Tibetan Buddhism - and to promote a thorough discussion, that can contribute to the future integrity of the Vajrayana tradition and help students navigate its precipices, with clarity and confidence. With your help we can get this important film finished.